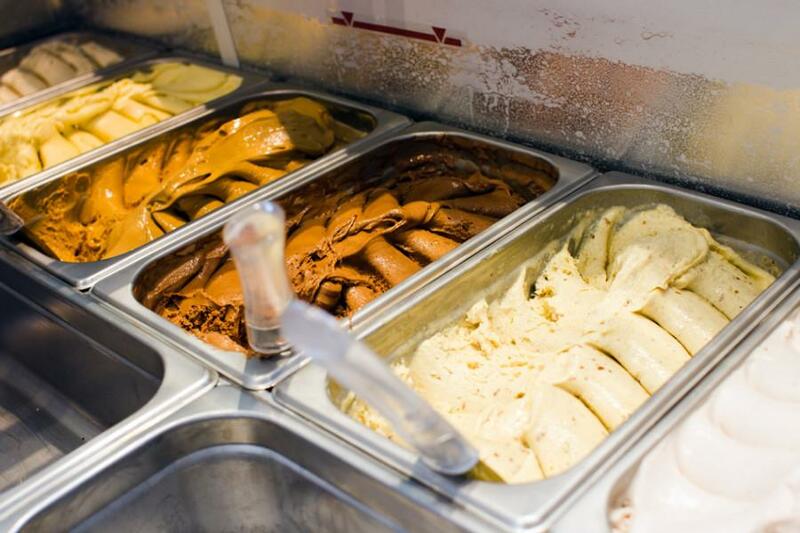 Frio Gelato, a local gelato shop, will open its new retail location Friday at 517 Dempster St. The store’s previous location at 1701 Simpson St. will remain as its production facility. A new retail location of an Evanston gelato shop will open on Dempster Street on Friday, offering coffee and pastries to complement Argentine-inspired gelato. The owners of Frio Gelato received final city approval a few weeks ago to begin serving artisanally-crafted gelato and other products at its new shop, 517 Dempster St. Its original location at 1701 Simpson St. location will continue to be the company’s production facility. Forced to close their Simpson Street location during the winter because of a lack of business, owners Sebastian Koziura and Enrique Schcolnik said they will sell gelato for retail purposes year-round on Dempster Street while maintaining production for wholesale purposes on Simpson Street. The company moved to the more densely-packed Dempster Street to gain business from higher amounts of foot traffic, Tennies Koziura said. In addition to its signature Argentine gelato, Frio will be offering new menu items such as “cafe-latos,” coffee with melted gelato in place of artificial sweeteners, and “alfa-latos,” dulce de leche-flavored gelato sandwiched between traditional Argentine alfajor cookies, Tennies Koziura said. “We’ve now kind of changed our tagline to read, ‘Frio Gelato: Artfully Argentine,’ because we’ve taken some kind of the original Argentine dessert, but also we’re artfully creating our own creations,” she said. Damir Latinovic, Evanston’s neighborhood and land use planner, said he predicted Frio would make more money because of its new location, which is only a few steps off of a major pedestrian roadway, Chicago Avenue. The store will open to the public at noon Friday and a ribbon-cutting will take place April 30 with Mayor Elizabeth Tisdahl at 4 p.m.